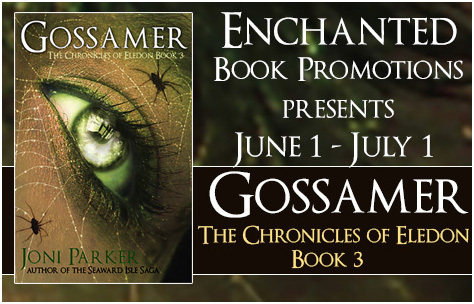 My book, “Gossamer,” was published in December, so I thought I’d provide the editing process for the book I’m working on now called, “Noble Magic,” the fourth book in the “Chronicles of Eledon” series. Fortunately, I already had a draft of it, but there were several changes in the editing process of “Gossamer” that impacted “Noble Magic.” Before I forgot what they were, I changed them. Then I read through the manuscript twice out loud and two more times silently before I sent it to my editor in late January for the first round of editing. In early March, I got the manuscript back with a number of corrections to make. Not only does my editor look at the content, she also gives me some help with grammar and punctuation, so I get two jobs for one. I made the corrections and read the manuscript out loud again at least twice and more times silently and sent it back to my editor in late March for a second round of editing. The manuscript came back to me in late May with more corrections to make, including a recommendation for an epilogue. I’d never written one before so I scrambled a little. I came up with one and sent it to my editor for a quick review. She liked the second draft. Whew! I just finished reading my book out loud again for the third time this round. My throat is a sore and I need a break—my house needs cleaning. I still found a few changes to make, but I do like the story. It has a lot of action and flows well. After this reading, I think it’s ready to be published. However, if I had some additional concerns, I wouldn’t hesitate to send it through another round of editing. I use this editing process for all of my books—at least two rounds with a good editor. Understand that each round costs me money. Yes, it can be expensive, but I feel I owe it to my readers to get it right and it’s taught me a lot about writing. Over the years, my writing’s improved, thanks to my editor, and I’ve even won some awards. The first book of “The Chronicles of Eledon” series called “Spell Breaker” was selected as a 2016 Book Excellence Award Finalist and the second book in the series, “The Blue Witch,” was a 2017 International Book Award Finalist. “Gossamer” is my latest effort and I hope you enjoy it. Thanks for hosting my book. I enjoyed doing the guest post for your blog. I never really think about my editing process anymore; I just do it.